This Sunday marks the 97th Grey Cup which will crown the champion in Canadian Football. These championship games are tremendously exciting and this year feature the top two teams in the league. From the East we have the powerhouse Montreal Alouettes and from the West we have the resilient Saskatchewan Roughriders. The Riders were winners of the 95th Grey Cup in Toronto. The CFL is a fantastic product. In fact, I much prefer it over the NFL. Montreal dominated the East this year, but typically the West is a much tougher division. Most are picking the Als to go on and win the Cup, but it almost seems like it's in the cards for the Riders to win their second Grey Cup in three years. For the second consecutive year, Montreal QB, Anthony Calvillo has been named the league’s top player. In just his third year in the CFL, Saskatchewan defensive end John Chick was named the league’s top defensive player. 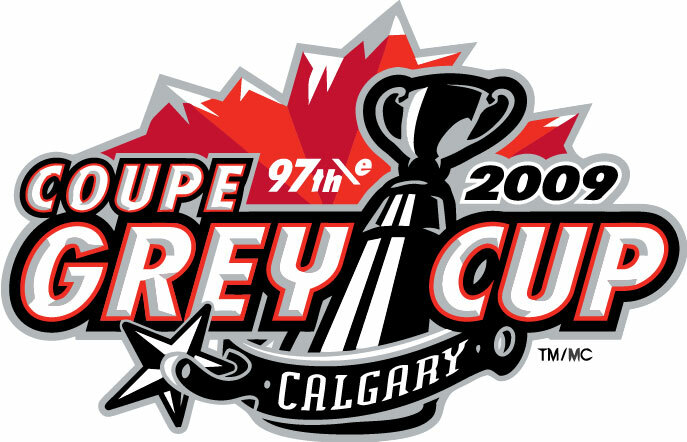 This is the fourth time the city of Calgary has hosted the Grey Cup, with the last time being in 2000. The original price tag for the sterling-silver Grey Cup, made by Birks Jewellers, was approximately $48. It was most recently appraised at $75,000. The 1945 Grey Cup game was the last in which both teams were made up exclusively of Canadians. It's expected that 15% of all Canadians will be watching the Grey Cup on Sunday. In fact based on data from the Globe and Mail, the 1981 game attracted 6.2 million viewers - two million more than Super Bowl XV. The 1982 Grey Cup game attracted the largest television audience in the history of Canadian television with 7,862,000 viewers. Only the series finale for M*A*S*H topped the 1983 Grey Cup ratings. Number of watermelon heads projected to be on-camera during game: 250. It's a Rider thing. Oh and as an aside, the Vanier Cup Game goes tomorrow on TSN at noon in Quebec City with the Queen's Golden Gaels facing the University of Calgary Dinos. Go Dinos!!! The Riders are huge underdogs. I for one am hoping that they can overcome the adversity and pull of the upset. For some reason I have a good feeling about this. A Montreal win by two touchdowns? We'll see. C'mon Riders prove 'em wrong.